It's not Throwback Thursday, but I wanted to share my first impressions of Myanmar in lieu of a podcast that I will be featured in about Inle Lake (in collaboration with @stylematicapp) due to be released this week. This trip was a life changer for me, and I will share more about my time in this wonderful country to encourage you to travel more, and worry less. Okay friends, it has already been five days since I have landed in Yangon. I thought it would be fun to answer the top three questions that most friends and family have been asking me since I have arrived. ..and here they are! 1. What are your first impressions? It has been at least two years since I have been fortunate enough to explore a new country. I had zero idea of what to expect. I looked out the airplane window, and as it landed, I felt like I was 10 years all over again when I first landed in Sri Lanka. I saw a lot of lush green trees, land, and water. Certainly more land than people, buildings, or city lights. As my friend Mike picked me up from the airport I took some time to absorb my surroundings, checking out the roads, and buildings in the 90 plus degree weather. One thing I wasn’t expecting: to see Revlon ads posted all around a shopping mall! 2. What’s it like there? People are very sweet and pleasant. Colonialism can still be felt through the architecture of buildings, like the old railway station you see below. 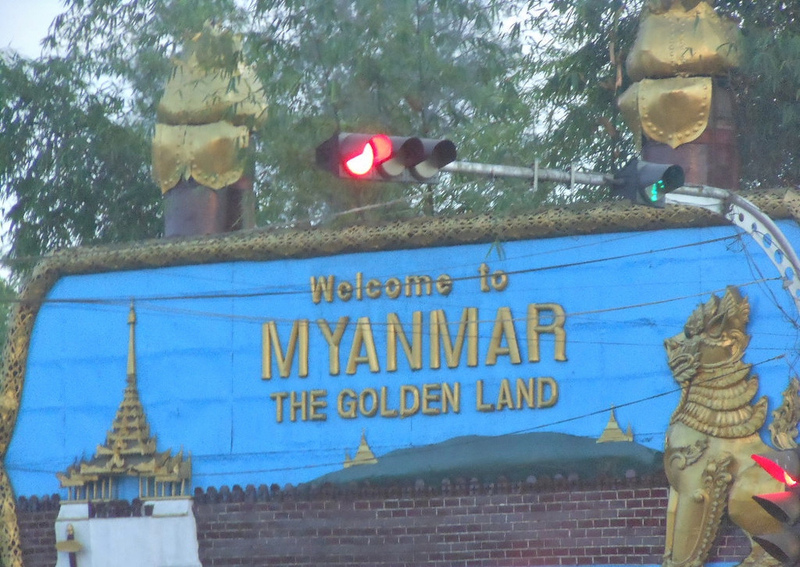 Other than that, Yangon is a city that is bustling with opportunity. There are plenty of marketplaces, hotels, and restaurants to experience. I honestly did not expect to see so much commerce here. There’s also the Yangon Bakehouse that not only has exceptional artisanal goodies, but also works to create job opportunities, skills development, and fair wages to disadvantaged women. 3. How do you like it there? It’s pretty awesome. I am already surrounded by some great friends. I’ve already been to my first soccer match: Myanmar v Cambodia. I can’t wait to visit the local pagodas, eat more of the local cuisine (yes, I’ll be trying out all the local places that Anthony Bourdain has). Most of all I see so much opportunity, and I’m so excited to delve into al the work I envision for Evolvemint’s future. I realize that I am being general here, SO keep the questions coming! I will do my best to take as many pictures and to capture stories while I’m here. FYI: I’m obsessed with taking pictures of fruit stands and marketplaces…..more to come about them.